Challenge experts not only on expertise, but on foundation, as well | Jon Katz, P.C. Addison v. Maryland, ___ Md. App. ___ (October 2, 2009) (quoting Maryland v. Baby, 404 Md. 220, 268 (2007) (quoting Reed v. Maryland, 283 Md. 374, 381 (1978), which adopts and interprets Frye v. United States, 293 F. 1013 (D.C. Cir. 1923)). On October 2, 2009, Maryland’s intermediate appellate court affirmed an aggravated assault conviction and, in the process, determined that appellant Addison had failed to preserve the right an appellate challenge of the prosecution’s presentation of expert testimony on domestic violence. Addison v. Maryland, ___ Md. App. ___ (October 5, 2009). Addison approvingly referenced several other state appellate courts that put the burden on the opposing party to object to the foundation of the opponent’s expert’s testimony as novel scientific evidence, to request an evidentiary Frye hearing before the trial court, and to bear the burden of proof at such a hearing. Id. 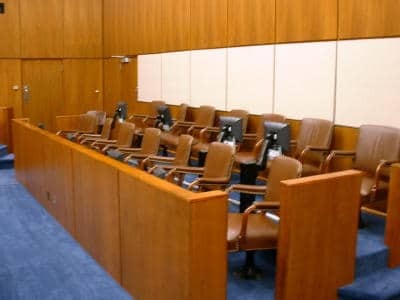 Consequently, it is important not only to challenge the admission of expert testimony based on an attack on the expert’s qualifications, but also to challenge the foundation of the expert’s testimony. Jon Katz.